St. Vincent Pediatric Endocrinologists provide multidisciplinary care for endocrine disorders. We emphasize self-management through education. We know that some of these children may be living and growing-up with a chronic condition, but having a higher if not normal quality of life is possible. At the Endocrine Clinic we stress family-centered care because we know when one member is sick it affects the whole family. And when you have a concern after hours, our endocrinologists are on call. For all ages, newborn through the teenage years, our strength lies in diagnosing complex endocrine problems and identifying progressive therapies and treatments that are manageable for your child and the family. Dr. Andrew C. Riggs explains that our endocrinology care emphasizes a team approach to take care of each child and that approach heavily involves the family. 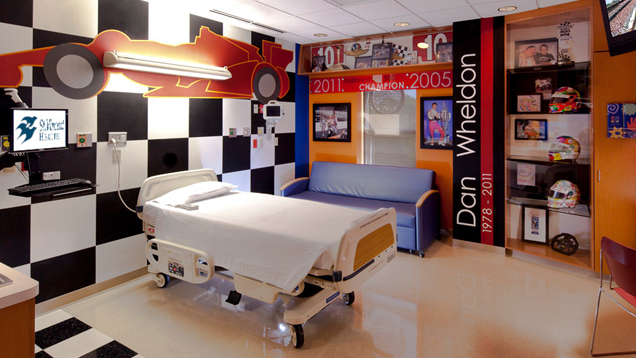 At Peyton Manning Children’s Hospital we have many helpful resources to manage a challenging disease like diabetes.